There are many ways to predict which countries will prosper the most -- and which the least -- in coming years, but one of the most revealing ones is a just-released report by the World Intellectual Property Organization (WIPO) detailing how many applications for patents of new inventions were filed by each country last year. The annual report by the Switzerland-based 187-country international organization shows that the United States remains by far the world leader in innovation, with 57,300 applications for international patents filed with the WIPO in 2013, an 11 percent increase over the previous year. It is followed by Japan with nearly 44,000 patent applications and a 1 percent increase over the previous year, and China, with 22,200 applications, and a 16 percent increase over the previous year. Fourth and fifth on the list are Germany and South Korea, respectively. By comparison, the number of international patent applications by most European countries remained flat or declined, and the numbers of Latin American applications were negligible. 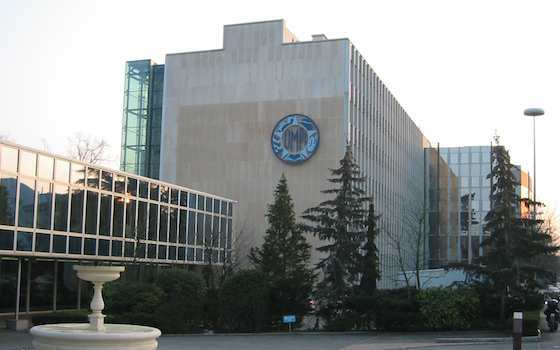 "There seems to be growth in the United States and China, and less so in other jurisdictions," WIPO's chief economist Carsten Fink told me in a telephone interview from Geneva. Carsten said the WIPO statistics are one of the best ways to measure international innovation, because they tend to reflect high-quality patents. Typically, private inventors or companies first file for a patent in their home countries, and only request an international patent with WIPO if they feel they have a great product that they can sell overseas. All Latin American countries together filed about 1,000 international patent applications last year, a tiny figure when compared with South Korea's 12,400, or Israel's 1,600. In other words, Latin America's 32 countries - with a population of nearly 600,000 million - last year filed less than 10 percent of the international patent applications filed by South Korea, a country with a 50-million population. Within Latin America, Brazil filed 660 international patent applications last year, Mexico 233, Chile 144, Colombia 82, Argentina 26, Peru 13, Costa Rica 12, Cuba 9, and Venezuela 1, the WIPO figures show. Asked why Latin American countries are filing so few patent applications, Fink told me that "the challenge that Latin American countries have is creating an environment in which innovation can flourish." He added, "That means having a good education system, having fiscal incentives to encourage research and development, having financial mechanisms to support venture capital, and policies that favor the mobility of highly skilled people, to bring talents from other places." Is there a direct link between how much countries spend on research, and how many patents of new inventions they produce, I asked Fink. His answer was a pretty confident yes. "Spending more in research and development is part of the answer," he said. "China spends 1.7 percent of its gross domestic product on research and development, while most Latin American countries spend less than 1 percent." Asked what does he tell people who argue that Latin America should spend more on schools, hospitals and food for the poor rather than on promoting innovation, Fink said such arguments may be valid for the poorest countries in the world, but not for middle-income Latin American countries. "China is a middle-income country, but it has invested more in research and development than any other middle-income country," Fink said. "To the extent that technological progress is one of the key drivers of economic growth, one can make a fair case that investing more in research and development is what many Latin American middle-income countries should be doing." My opinion: I agree. And would add that as the commodity price boom of the past decade is coming to an end, there is an even greater urge for Latin America's commodity exporters to join the innovation race and catch up with the rest of the world. It can be done: only 50 years ago, South Korea and other Asian countries that today excel in innovation were as poor or poorer than most Latin American countries. But while Asian countries invested heavily in quality education, research and development, much of Latin America invested in temporary subsidies for the poor that created a false sense of progress, without generating long-term growth. The latest WIPO statistics help explain why Asian countries have grown so much and reduced poverty so fast, and are a good reminder of Latin America's urgent need to improve its education, science and technology levels. "Who's Winning, Who's Losing Innovation Race"